Already over 300,000 downloads! 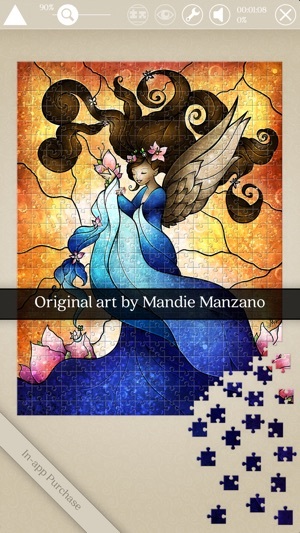 Dazzling artwork and advanced puzzle mechanics collide in Mandie Manzano Puzzle Art -- the first and only app to feature the acclaimed art of Mandie Manzano! 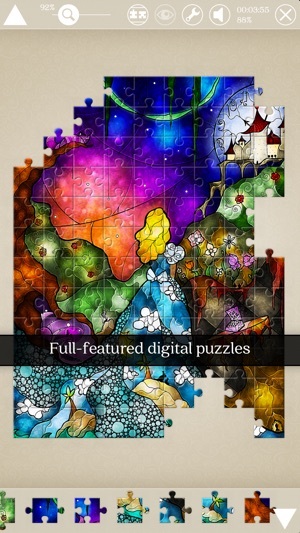 Experience the best jigsaw puzzles on iOS with more than 40 dramatic stained glass pieces presented in stunning ultra HD graphics. Responsive touch controls, a clean interface, and adjustable piece count from 12 to 2,000: Mandie Manzano Puzzle Art has it all. * Designed for all ages! - Engage in the original art by acclaimed artist Mandie Manzano -- including never-before-seen works! 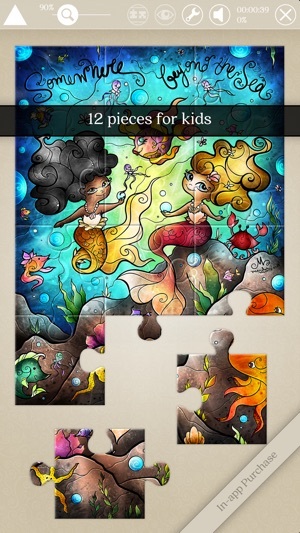 - Solve puzzles containing 12 - 2,000 pieces -- great for the novice and puzzle enthusiast alike! 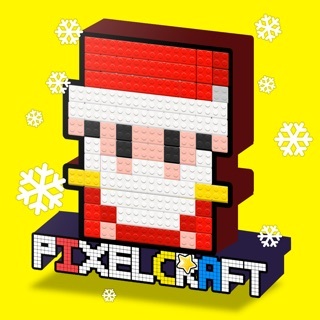 - Fairy Tale puzzle pack for free! Additional puzzle packs can be purchased. 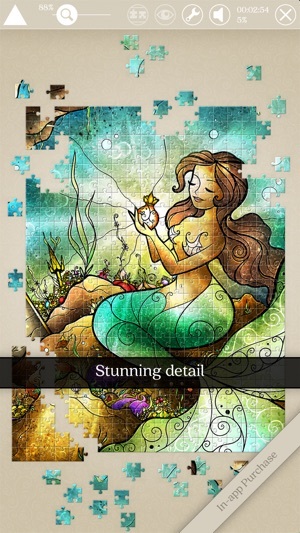 I love this app as it has reintroduced my favorite childhood hobby back to me in a modern format: jigsaw puzzles. While nothing truly compares to having physical pieces in my hands to work with, Mandie has exceeded my expectations with this app to give me a new and different experience that still comes with good ol' nostalgia. 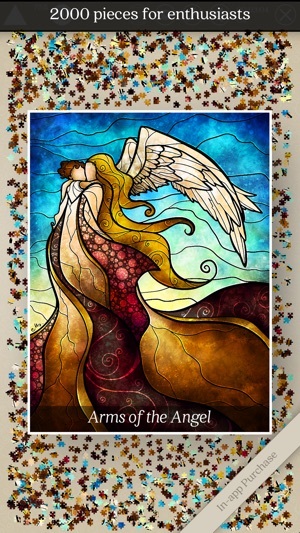 The artwork is beautiful in her puzzles and the drawings are all vibrant and colorful. She makes wonderful use of shading and patterns to distinguish from piece to piece. I appreciate the fact that you can have piece rotation on or not and because of that, we get 30 different sets of puzzles for each drawing! And there are no ads and no internet connection is necessary to play! Plus, she actually listens to feedback from reviews and implements them to improve her app. It now allows you to come back to a previous session with all pieces in the same place as before. Great soundtrack too, with a little variation from theme to theme. My only minor critique is to increase the size of the playable puzzle area. It can sometimes get cramped if I'm working on a larger puzzle and need to organize pieces as I go. Thank you Mandie for creating this app and sharing it with us! I feel that you have kept us puzzlers in mind when developing and enhancing this app and it shows. These puzzles are a lovely and convenient way for me to relax anywhere, especially on the go, with its portability on my iPad. 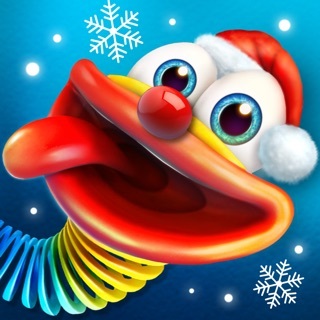 Hi, I just found your app and I do like the pictures and colors. I gave it 3 stars because the background screen keeps moving. Two, since the other viewers have commented from the past it seems you haven’t done anything to improve it. Also note other puzzles have a sidebar where the puzzles hangout until you choose to swipe them in, and you can swipe them back out if your not ready to add them into the puzzle. It keeps the screen from being cluttered. It’s really annoying that it flips around when trying to add another piece. It would be interesting if you added more people or animals or objects into the puzzle instead of just having large pieces to take up space. If I read a review that it has been improved I would purchase more puzzles. Will check in to see what others have to say. 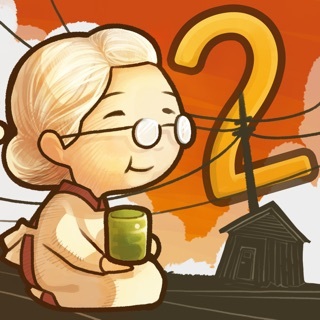 Farewell for now onto looking for more puzzles to play. I hope you look into this matter. I can see that making a puzzle app is hard so good luck with the improvements. I love the artwork used for puzzle choices and out of the many jigsaw puzzles I've tried before, this is definitely one of the few decent ones. 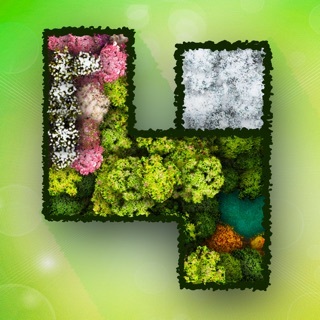 I've finished four of the free puzzles so far and will continue until all free ones are finished. I hope that you'll update to offer a new/more free ones in the future. Unfortunately, to be honest, this review would be a 5* one if not for one thing. I personally, and I'm sure many others do as well, use the free space around/inside the puzzle to organize the pieces, mostly by shapes but also by section of puzzle, colors, and framing pieces that go close by but are missing a piece that would connect the two. I would love it if you could make it so that however the pieces are left on the board when I leave the puzzle will be exactly how they are when I return to the puzzle again. As it is now, the app randomizes and reorganizes all the non-connected pieces and all the order/sorting/organizing I did during the prior session is thrown to the wind.